When Matthew Ohayon, journalism student at Concordia University, was in his first year, he undertook an unpaid internship at a local sports radio broadcaster. The now third-year student said he was “bright-eyed and bushy tailed” at the time he pursued the position. But it wasn’t long before he began to burn out. Ohayon was working three five-hour shifts at the station per week, all of which started at 5 a.m. After leaving the internship each day, he’d then head to school, where he was taking a full course load. By midterm season, balancing both, with no remuneration, became a major source of stress. Two years later, he said he’d think twice about taking on an unpaid internship again. Ohayon is one of many students at Concordia who have taken unpaid internships while studying. While Ohayon pursued his extracurricularly, forgoing both pay and academic credit, which he wasn’t eligible for as a first-year student, a number of upper-year students in the school’s journalism department partake in a journalism course called JOUR 450. The internship practicum currently requires that participating students be unpaid at whatever newsroom they intern with in order to receive course credit. This requirement is controversial among journalism students at the university. In fact, on Jan. 16, the Concordia University Journalism Students’ Association passed a unanimous vote to hold a week-long strike against unpaid internships in conjunction with the province-wide unlimited strike movement led by Comités unitaires sur le travail étudiant. In so doing, the JSA becomes the second English-speaking student association to join the movement. The motion to strike, demanding the removal of the journalism department’s requirement that internships completed for credit in for JOUR 450 be unpaid, was put forth by Concordia journalism students Miriam Lafontaine, Erika Morris and Jon Milton. 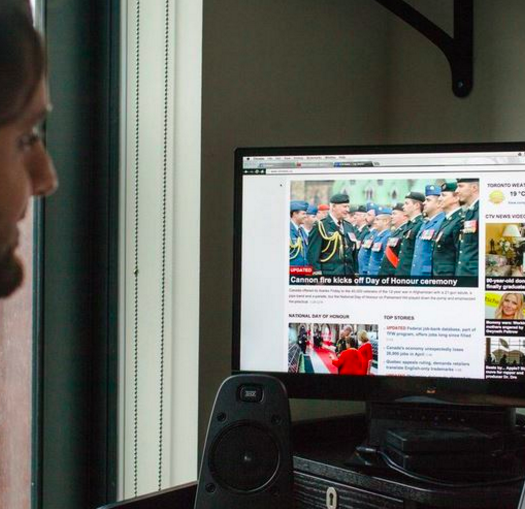 While the course is not mandatory for completion of a journalism degree, Lafontaine, who also serves as editor-in-chief of the Link, a student-run newspaper at Concordia, explains that the course is in high demand because of the competitive nature of the media job market. But while many students feel pressured to complete internships without pay in order to improve their chances of landing work after they graduate, others simply do not have this option. The journalism department has shown signs of taking action, however. In the hours leading up to the strike vote, the trio said they received an email from David Secko, professor and chair of the journalism department, letting them know that the university is in discussions about removing the requirement that for-credit internships be unpaid. He later said in a March 14 email to J-Source that starting in the Fall of 2019, internship employers will have the option to pay students for their labour, though this will not be required. However, the strike organizers said they had not heard of this change, which Secko said was decided over the summer, and while they said they recognize the effort of their department, they remain steadfast in their commitment to striking to abolish unpaid internships at the university. The JSA is planning to hold its week-long strike from March 18 to 22 to coincide with the broader unlimited strike CUTE member associations plan to hold. The JSA motion to strike is urging students not to submit coursework or attend their courses or unpaid internships for the week-long period; they also plan to hold a picket line to prevent classes from operating. Word of the strike has quickly garnered national support since the vote. On Jan. 17, CWA Canada, the only all-media union in the country, issued a statement in solidarity with the Concordia JSA. And on Feb. 12, Unifor, the Canadian Freelance Union, followed suit. And on Feb. 20, just over a month after the JSA’s decision to strike, the Concordia COMS Guild, which represents the department of Communications Studies, voted to hold their own strike against unpaid internships. Following in the footsteps of journalism students, 63 students voted in favour of striking from March 6 to 8. Strikes like this one are part of a culture of student mobilization in Quebec dating back to the 1960s. The first general student strike in the province took place in 1968, during which students from 15 out of 23 CEGEPs organized to demand, among other things, improvements in access to postsecondary institutions, government loans, and bursaries for Francophone and working-class students. During this province-wide protest, students took to the streets, held a strike from their classes, and barricaded themselves in their schools until their demands were met. These actions were ultimately relatively successful: they led the provincial government to establish the Université du Québec Network of five public universities throughout the province. More recently, in 2012, student unions across the province organized against a proposal by the Quebec cabinet to raise in-province tuition from $2,168 to $3,793 by 2018. During what is commonly referred to as The Maple Spring, nearly 250,000 students participated in classroom strikes, barricades, and picket lines in the Spring of 2012; by Fall of the same year, a new party came into power, halting tuition increases. 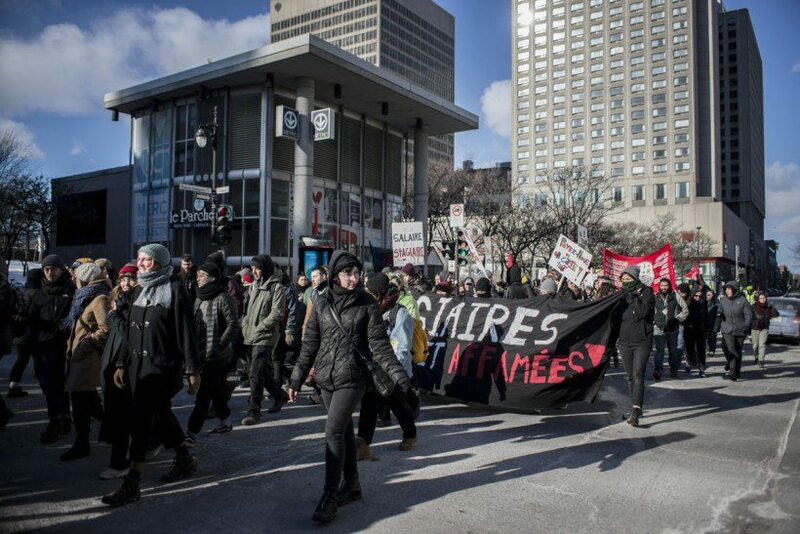 And three years later, in a movement referred to as Printemps 2015, approximately 62,000 CEGEP and university students held a rally and a one-day strike (though several thousand continued to strike for two weeks) against proposed provincial budget cuts to public services like education. The energy behind student mobilization and the historical success of these direct actions in Quebec is “unmatched,” according to Jacobin writer Alain Savard. Morris said it’s this legacy that inspired her to call on her classmates to strike against unpaid internships. “So there’s more to it than shutting down classes for a week and having signs,” she added. Unpaid internships are prevalent not just within Quebec, but across the Canadian media landscape. At some journalism schools, like Trent University and the University of King’s College, completing an internship is required to graduate. At the former, students are not permitted to receive payment from their employer for this labour, while at the latter, payment is determined by the employer, and the university provides nothing in the form of a stipend or bursary to support students who acquire unpaid positions, leaving many students working without payment for a period of time. 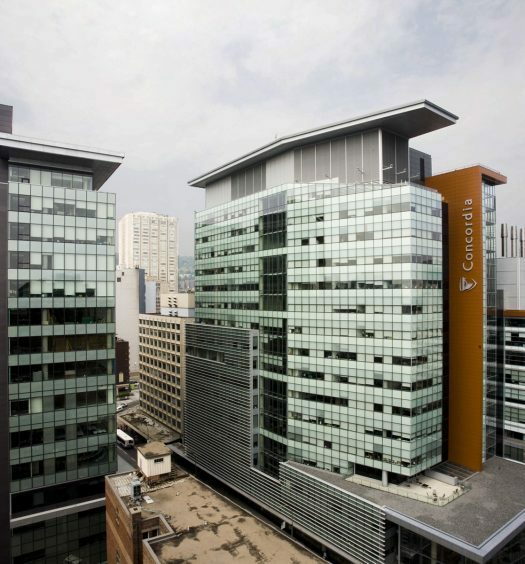 At some universities, like Concordia, for-credit internships are optional, but are required to be unpaid. While completing these courses is an asset, this structure ultimately leaves out students who have to devote this time to working for money to pay for rent, tuition, and other living expenses. Kaila Jefferd-Moore, a fourth-year student at the University of King’s College, is among numerous Canadian journalism school students taking on an unpaid internship this upcoming summer. Jefferd-Moore is preparing to complete hers at a Halifax newspaper this May, which she said is particularly daunting given her precarious financial situation. “I’m in a position where I still haven’t completely paid off my tuition, and I’m (going to) have a hard time completely paying it off before graduation anyway, so giving up a month of pay … it’s kind of leaving me in a situation where I’m in more severe debt than I would’ve been if there were more opportunities for paid internships,” she said. Jefferd-Moore is no stranger to the impacts unpaid internships have on employees and on the journalism industry as a whole. She completed an honours research project for her degree at King’s College on the topic, and traced the foundation of unpaid internships back to the early 1990s, when Howard Bernstein launched a journalism internship program at Ryerson University based on the model of unpaid medical apprenticeships, which required no manual labour beyond observation. During her research, Jefferd-Moore interviewed a number of Canadian news outlets that offer unpaid internships, including the CBC, which she said takes on 60 students per semester. To Jefferd-Moore and Morris, the normalization of unpaid internships only perpetuates the lack of representation pervasive within Canadian newsrooms. And according to Jefferd-Moore, this lack of representation is something many employers are unwilling to acknowledge is a problem. While there’s clearly still a ways to go in abolishing unpaid positions, the students striking hope their action will send a message to newsrooms and journalism schools across the country. “We’re trying to send a clear message about the kind of working conditions we expect to have as journalists, and trying to draw more attention to making the field more accessible,” Lafontaine said.